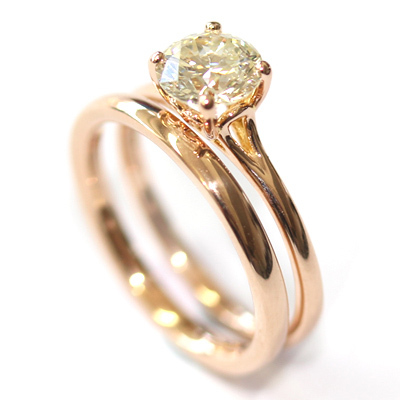 18ct Rose Gold Plain Wedding Ring — Form Bespoke Jewellers Ltd.
A bespoke, platinum twisted wedding ring. 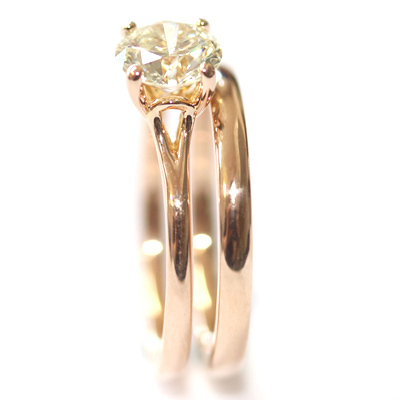 The customer returned to us for a wedding ring that would sit next to their 18ct Rose Gold Round Brilliant Cut Diamond Engagement Ring. 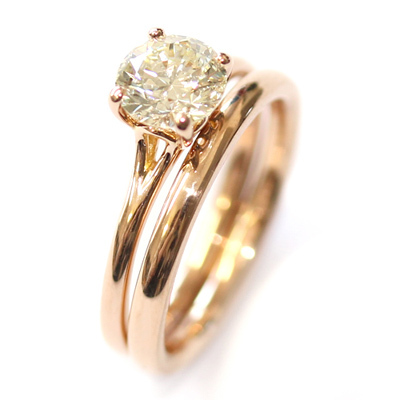 We specially designed their solitaire engagement ring to fit a simple, classic band neatly underneath its bold setting. 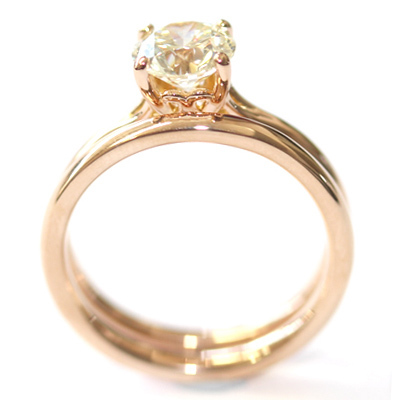 So, with this “fitted wedding ring”, we were able to create a plain 18ct rose gold, traditional court band and know that it would be a perfect fit. 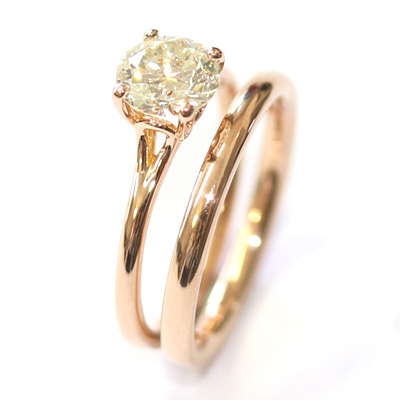 The benefit of keeping it simple is that the attention stays with the stunning engagement ring too. 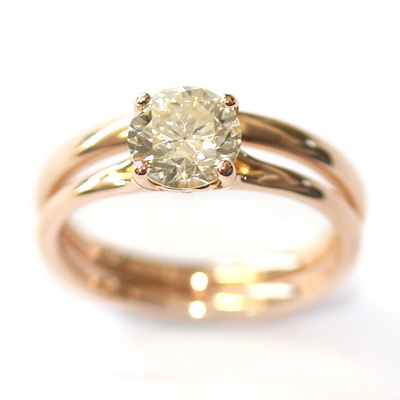 Neat, simple and sophisticated.